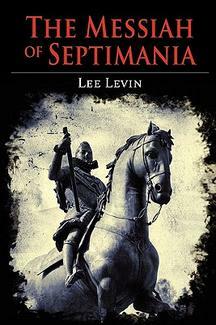 At the moment I am reading a novel written by Lee Levin on Makhir Theodoric the first Jewish King of Septimania called "The Messiah of Septimania". The author has drawn on Professor Arthur Zuckerman's book on this Jewish Kingdom in southern France in the early Medieval period. It is a good read but due to the author not realising that the Carolingians were Catholics of Jewish origin he tries to explain how this Jewish son of an Exilarch could marry a Frankish Carolingian Princess that would be acceptable to both Jews and Christians. He also characterises the Princess Alda, Charlemagne and the other Catholics who he assumes are Gentiles in a negative light. In fact Charlemagne is also called David Kalonymus and his mother Judith [Bertrada/Bertha Goose foot/ Mother Goose] is a sister of Makhir. He also does not seem to know that there were two separate seiges of Narbonne- one by Charles Martel and the second one by King Pepin. The Chansons seem to confuse the seiges with each other. The chansons state that Aimeri d'Narbonne (Makhir/ Amorai ) captured the city in 739 in the reign of Charles Martel. Charles Martel had allied himself with this warrior Davidic Jewish family in the fight against the Muslims of Spain. Lee Levin in "The Messiah of Septimania" also tries to explain how a Jewish Davidic Rabbi and Prince also became a Warrior not realising that he came of generations of Warrior Princes in the Persian Empire. Machir Theodoric in about 747 after the death of his wife Alda (married 729-30 AD) went to Scotland to aid the Kingdom of Strathclyde which was ruled by Davidic Jewish Catholic Kings who were related to Machir. He was known in the later Strathclyde king-lists as Tewdar or Teudebir and as St Machar in Aberdeen were he founded a Jewish synagogue which would later become the church of St Machar. Machar Tewdar married Princess Dunlaith a daughter of Israel the Red (Idwal Rotri) son of King Beli of Strathclyde. King Beli was a direct male line descendant of the Babylonian Exilarch Nathan II through his ancestor Nathan Todros the Judiarch of the Gewisse. Israel the Red (Idwal Rotri)married Johanna a daughter of Ywrch (Arik/Erech) ap Cadwaladr of Gwynedd and Affadda of Brittany. Affadda was the daughter of King Alain Hir of Brittany and his wife Johanna the sister of Ahunai of the Holy Land. Machir and Dunlaith had a son Daniel Chuna (Dynwal/ Dumnagual/ Cynan /Demrost)[b.747]King of Strathclyde and Brittany. He married Princess Mahallt (Matilda) of Mide a daughter of King Conchobar of Midi and Princess Land of Ailech. Princess Land was the granddaughter of Princess Ailbine an aunt of King Makhir Todros of Septimania. Daniel Chuna was the father of Eugain or Erbin King of Strathclyde, Iago (Jacob) of Gwynedd, Gradlon Flam of Brittany and King Budic III Mor of Britanny. Jacob was the father of Atala (Ethyl) who married Israel I Guriad ha Makhiri a son of Theodoric II Nehemiah [b.730-d.790] the second King of Septimania. 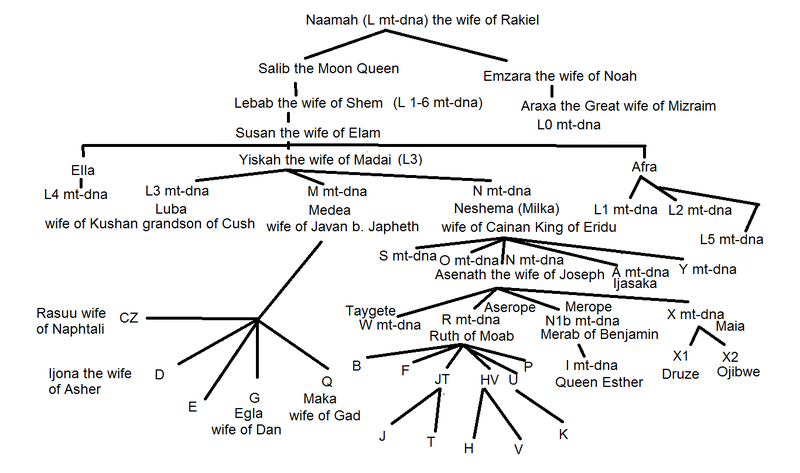 Many of the Royal Houses of traditional Davidic Descent sought to strengthen their Davidic status by intermarrying with the family of Ahunai, Judah Zakkai and Makhir. 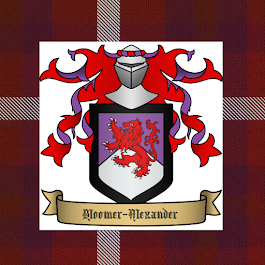 Machir defeated King Angus of Picts and Scots in 750. While Machir was absent from Septimania in 750 Narbonne was once again attacked by the Muslims and occupied. They are said to have tortured Machir's youngest son Gilbert (Guibelin /Gui Alberic /Yakar)by crucifying him. Gilbert survived his ordeal and went on to become the Count of Rouergue. Machir returned to France in 752 to join King Pepin in the seige of Narbonne. In 759 Pepin would elevate Machir from being the Duke of Septimania to being an anointed King of Septimania. 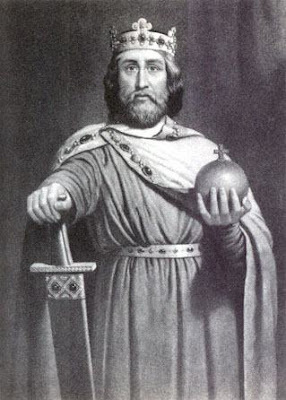 He would die or abdicate around 765 AD and was succeeded by his son Theodoric Nehemiah as Davidic King of Septimania. Machir with his second wife Dunlaith had a daughter Dunne (b.755 Septimania)and Bertrada (Bertha)(b.760). In 768 Charlemagne, on succeeding his father, confirmed the Carolingian alliance with King Theodoric II Nehemiah (Deitrich Namon/ Aumery le Chetif) of Septimania [r.765- 775 as King of Septimania]the son of King Theodoric I Machir[r.739-759 as Duke of Septimania, King of Strathclyde r.747-752, r.759-765 as King of Septimania]. Zuckerman and others confuse the father and son who are both known as Theodoric, Theuderic and Thierry. This second Jewish King was to be the Conqueror and King of Calalus in America as well the Ruler of Saxony (as King Theodoric or Deitrich of Saxony) and Bavaria (as Duke Namon of Bavaria). It would seem that Makhir's grandfather Ahunai of the Holy Land (Hernaut de Beauland)came to the West after his father-in-law the warrior Exilarch Heman ben Shallum was killed. Heman was the Exilarch of the Jews who had become Muslims outwardly. He was martyred around 660 AD. 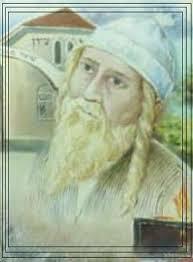 It is said that the Jews of Pumbedita proclaimed him the Messiah in 645 AD and he was known as the Messiah of Pumbedita. It would seem that Heman's father Shallum and his uncle Nehemiah were Jewish warrior princes of the royal house of King David that tried at different times to reestablish the Jewish kingdom of Mahoza. After Shallum led one such uprising against the Persians they sold him and his family into slavery to Muslims who forceably converted them. They were to use their outwardly Muslim status to champion the rights of the Jewish people both those who remained openly Jewish ruled by the family of their cousin Bostanoi and those Jews who outwardly became Muslims. Heman was known to the Muslims as Abdullah ibn Saba. Saba alludes to the Saba River where the Jewish authorities and the heads of the Acadamies fled after the fall of the Jewish kingdom of Mahoza. These Jewish scholars from the Saba river were known as the Saboraim and Heman was considered to be their protector. Heman supported the Caliph Ali as he was Jewish according to Rabbinic halakhah as Ali's mother Fatima bint Asad was the daughter of Zahna the sister of the Jewish Exilarchs Mar Haniniah and Mar Hushiel. Thus the Caliph Ali was a close relative of Heman and the Exilarch family. Ahunai was a descendant of Bostanoi the Exilarch and he married the daughter of Heman who was known as Imma Bilhah Bat Heman or Mabile Ermenjart (which developed into Ermengarde). Ahunai's father Abu Aharon (Garin)was also known as Ha-Aluf (Welf/Wolf /Lupus)and seems to be the Warrior Leader of the Jews of Aquitaine in the late 7th century. 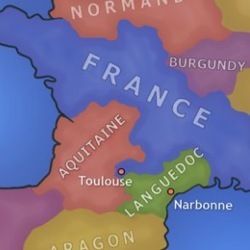 His son Eudes (Mar Judah Zakkai)succeeded him as the leader of Aquitaine Jewry and to be the Ruler of Aquitaine under Merovingian overlordship. He later allied himself with Charles Martel in the fight against Ummayad Islam. Lee Levin like Zuckerman associates Makhir with the Exilarch Natronai. However the Jewish sources speak of Machir as the son of a Babylonian Exilarch Judah. Natronai was the son of Habibai ben Natronai. This older Natronai is also known as Norbert of Aquitaine. He is the famous Natronai of legend who settled in France. His grandson Natronai was born in France and returned to Babylon to study and he eventually became the Exilarch in the 770's. Habibi (Abu ha Nasi) married Ruth of Aquitaine (Rodolinde)the sister of Eudes (Judah Zakkai). Thus Natronai was the cousin of Makhir. The older Natronai (Norbert) ben Nehemiah married Berthe a sister of Ahunai of the Holy Land. Habibi (Abu ha Nasi) was also known as Naissi after the Jewish princely title of Nasi. Uthman or Othman of Narbonne was possibly the older brother of Natronai or possibly Natronai himself. The Franks knew Othman of Narbonne as Manuza which is a variant of his Jewish name of Manasseh (Menashshe). The name of Manasses was found later in the family descended from Makhir Theodoric King of Septimania in the 9th century. "Then King Charles sent to the King of Baghdad [Caliph] requesting that he dispatch one of his Jews of the seed of royalty of the House of David. He hearkened and sent him one from there, a magnate and sage, Rabbi Makhir by name. And [Charles] settled him in Narbonne, the capital city, and planted him there, and gave him a great possession there at the time he captured it from the Ishmaelites [Arabs]. And he [Makhir] took to wife a woman from among the magnates of the town; ...and the King made him a nobleman and designed, out of love for [Makhir], good statutes for the benefit of all the Jews dwelling in the city, as is written and sealed in a Latin charter; and the seal of the King therein [bears] his name Carolus; and it is in their possession at the present time. The Prince Makhir became chieftain there. He and his descendants were close with the King and all his descendants." The King Charles mentioned here was Charles Martel not Charlemagne as claimed by others. These Warrior Davidic Princes in the early Medieval period were prized by Jews, Christians and Muslims as their leaders because of their descent from King David. It would seem that these Davidic Princes were flexible with the outward form of their religion while maintaining their own mystical Jewish (or Jewish -Catholic)traditions in secret. Beginning in the 10th century, influenced by the Mandaen Gnostics, European society became increasingly anti-Jewish and the descendants of these families began to hide their Jewish origins and many of then embraced Catholicism. However these Davidic and Jewish origins are to be found in the genealogies, legends, and documents if one has eyes to see. It would seem in many cases that the genealogies and documents have been tampered with in order to hide these origins and to link these families to Merovingian origins rather than Davidic origins as the anti-Jewishness of European society increased. Even today there is a reluctance to acknowledge the place of these Jewish Princes in the history of Europe. The descendants of these Davidic Princes were responsible for much of the flowering of Jewish and Catholic mysticism throughout the Medieval period. 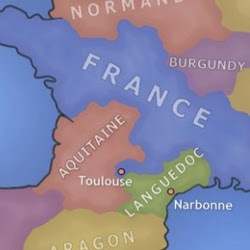 One of the biggest obstacles to accepting the Jewish identity of Theodoric has been his connection to Frankish nobles before 768. When one understands that Machir Theodoric's family had been in southern France for four generations this removes that difficulty. 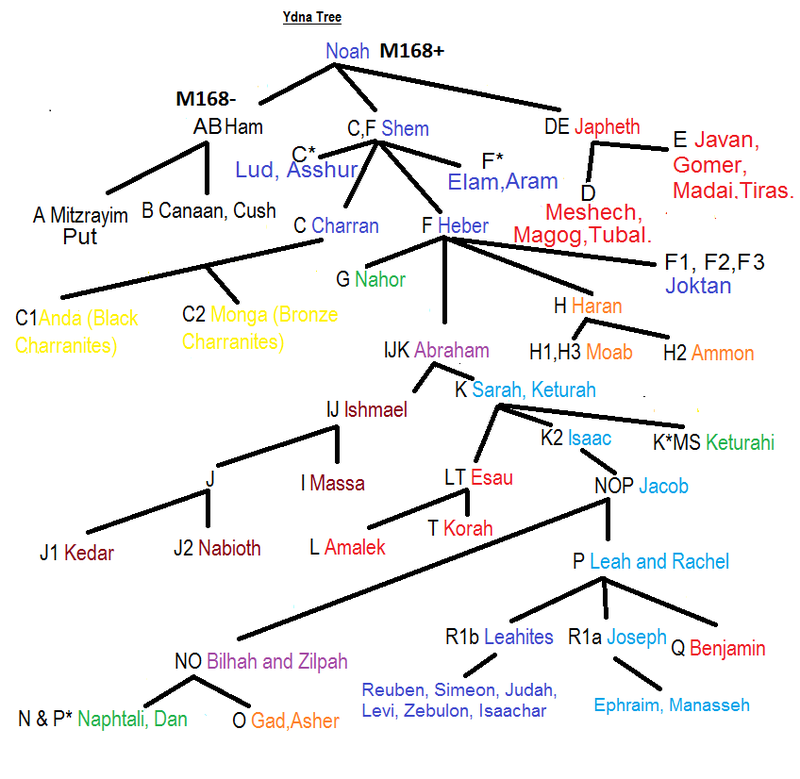 While Zuckerman's research was groundbreaking his linking of Machir to Natronai and confusing the Theodoric of 768 with his father Machir has somewhat confused those researching this dynasty. Jewish sources before Zuckerman wrote his book referred to the father of Machir as the Exilarch Judah, it was Zuckerman's speculation that Natronai and Machir were the same person.